It is great that dough is so versatile! Also those tips you included are very helpful. Nice follow up post! That is BRILLIANT! 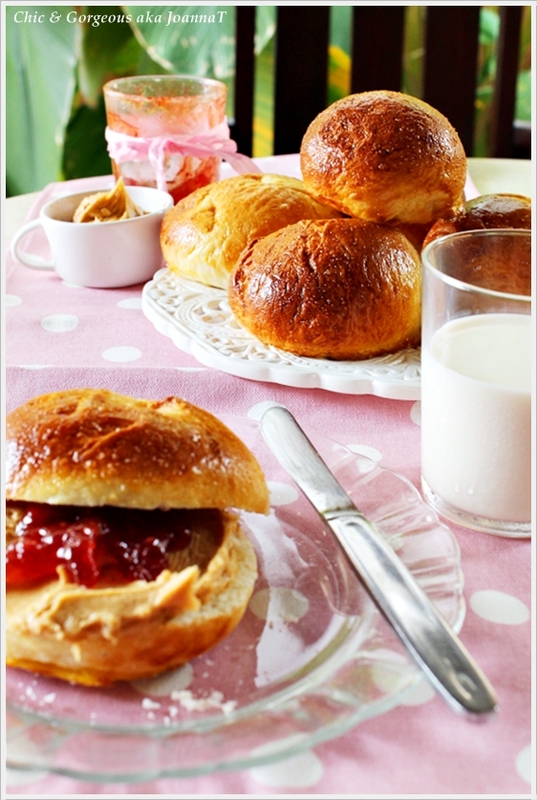 I love the idea of sweet buns - and they are just beautiful! BRAVO - I've happily buzzed this one! Tina: Thanks.. ;) Nearly forgot about my follow up promise. Ann: Yeay! Thanks for buzzing..
Look at you Jo! Getting more and more of a master baker each day! Hahaha. So awesome to know! Your idea of putting a fried egg on them sounds epic to me! Pierre: Thanks so much for the word of encouragement. I like to think so too that I'm getting better and better at baking. Always nice to read yours and other fellow bloggers for tips too. 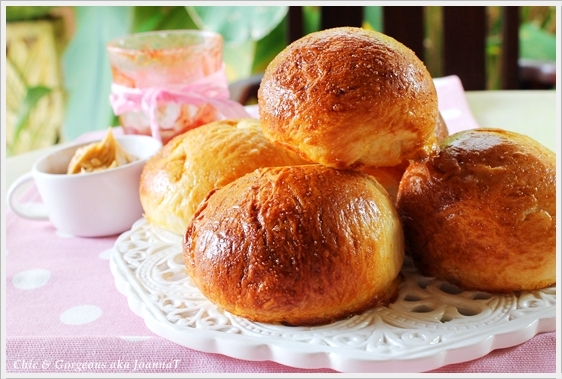 Hahaha.. Hmm never thought of them as brioche, and that's also because I didn't know what to call them, So I just called them buns. Goodness me.. Oh it was buttery soft and flaky too.. Love fresh breads. Take care..
Claire: If I have it my way, I would probably try to make a club sandwich out of my buns. Do try it if you can, and then might get an over filled bun. Now that's what I called generous filling. Yummm.. have a great weekend! !